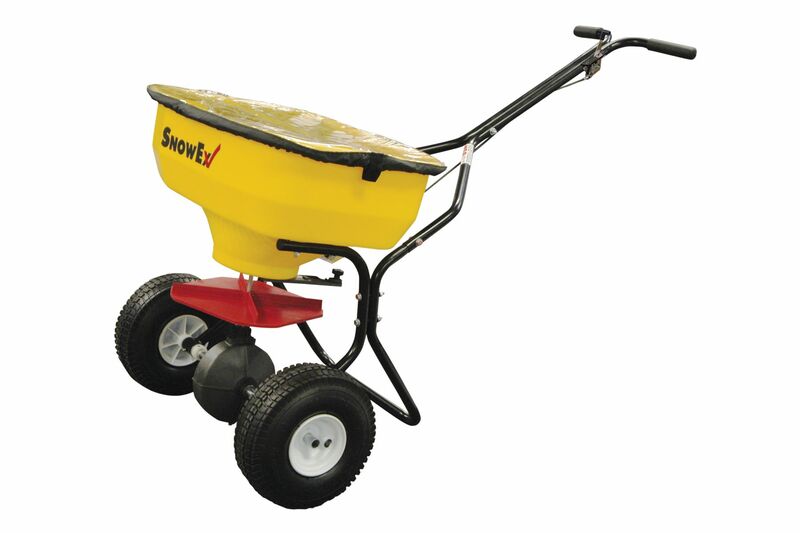 Shindaiwa 1.3cu' capacity Home Pro Spreader model RS60. Finger-tip Adjustable Rate Control. 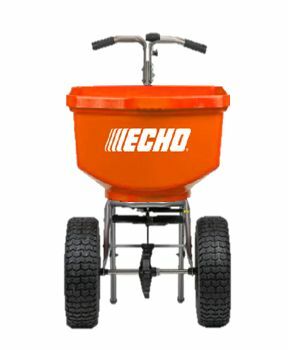 Specs; 13" diameter tires, welded epoxy-powder coated frame to fight corrosion, Dry weight: 22.5lbs. Hopper height of 27". 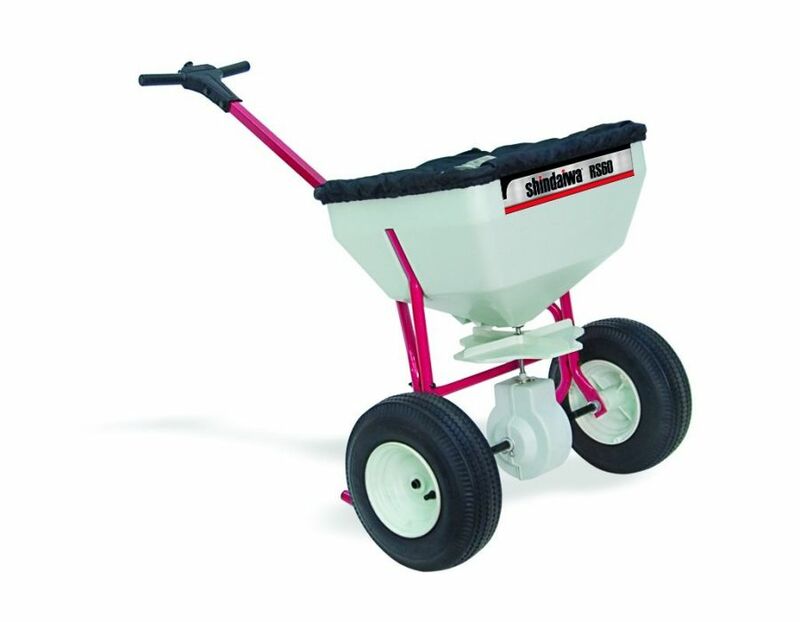 Handle length: 31". 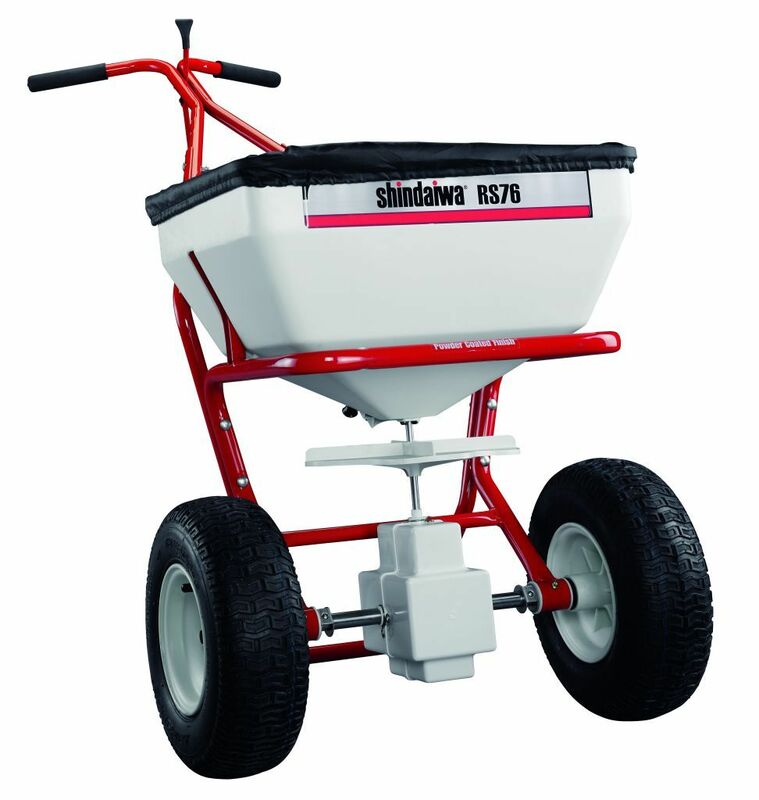 Find this Shindaiwa RS60 Spreader at Kooy Brothers Equipment Ltd. located at 1919 Wilson Avenue in Toronto Ontario.